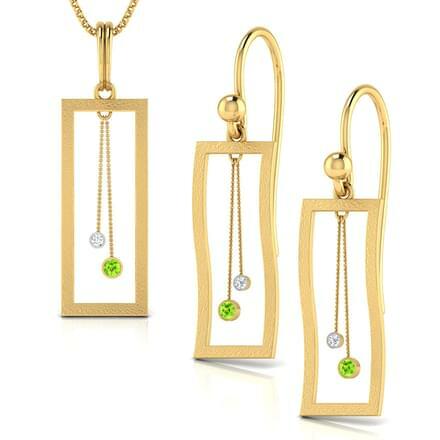 Gemstone jewellery is worn in various forms, especially rings, earrings and pendants. 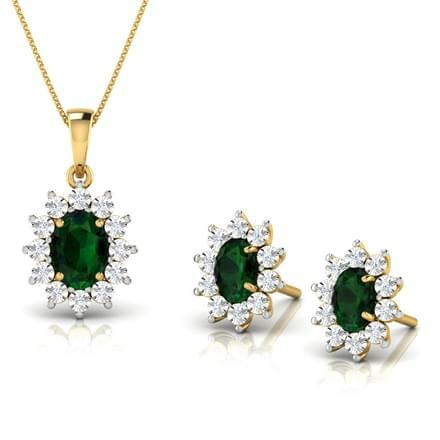 Gemstone jewellery set is an indeed a very creative way of adorning pretty gemstones as everyday wear as well as evening wear. 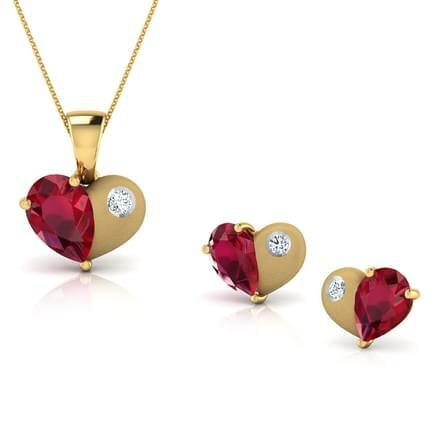 Gemstone Sets are a beautiful form of wearing auspicious ornaments in a stylish manner by women. 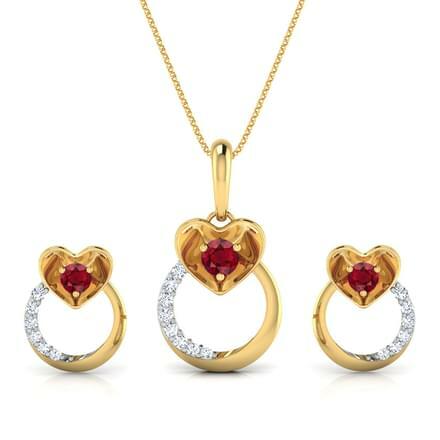 A jewellery set studded with gemstones are beautiful and make for beautiful options for women who like to match their jewellery with their dresses. 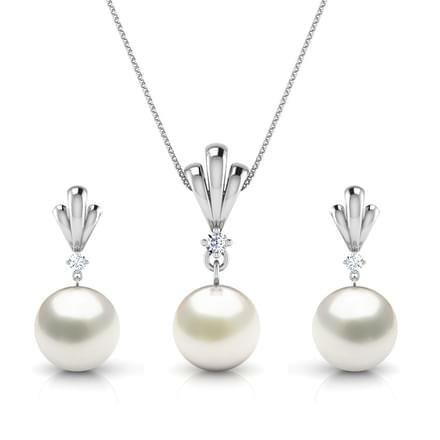 CaratLane's offers a vast collection of Gemstone Sets for women, made available online. 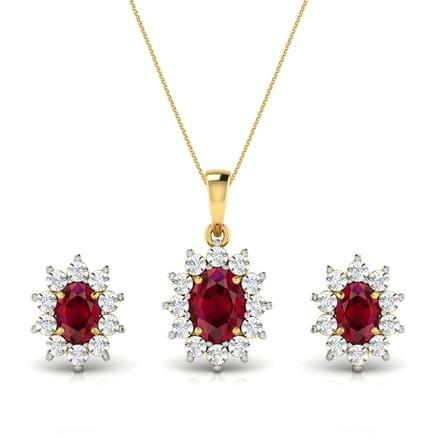 Colourful Gemstone Sets can be matched with almost all colours of dresses, which look extremely beautiful as well. 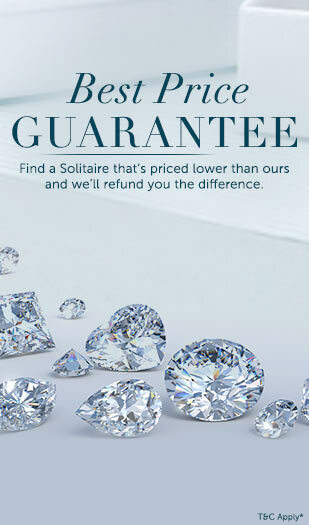 CaratLane brings for you more than 70 unique designs of Gemstone Sets priced from Rs. 10,000 to as high as Rs. 2,50,000. 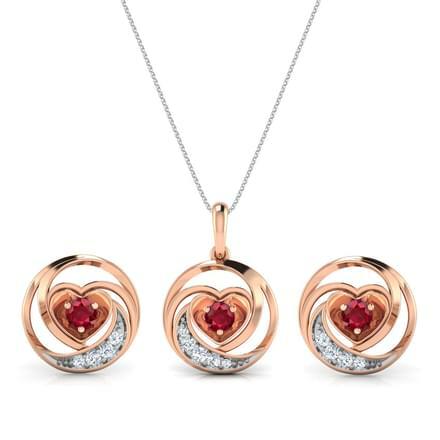 The Gemstone Sets are made with yellow gold, white gold, rose gold and two-tone gold options too. 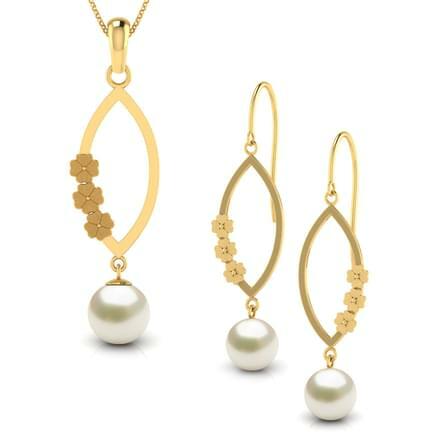 Perfect to be worn as everyday wear and weddings as well, the collection has set designs with gemstones including Blue Topaz, Citrine, Sapphire, Peridot, Ruby, Pearl, White Topaz, Emerald, Chalcedony, Amethyst, Moon Stone, Mother of Pearl, Black Onyx and Rose Quartz. 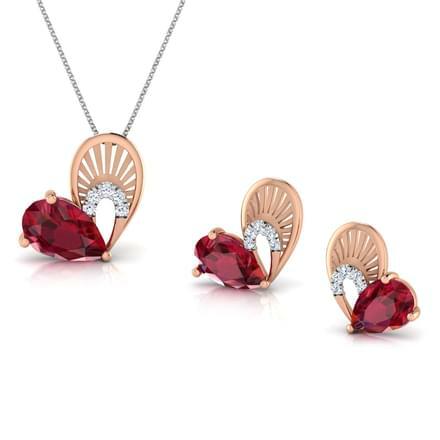 Contemporary designs of Gemstone Sets are high on demand nowadays, as they serve the purpose of wearing them as everyday wear and evening wear both. 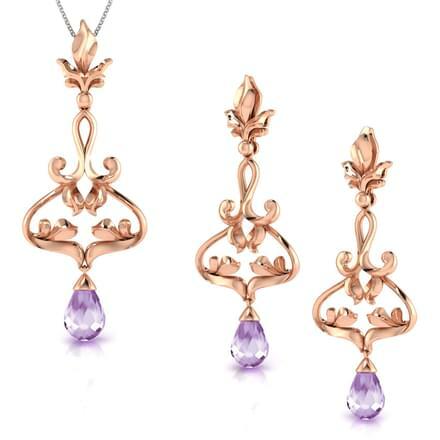 The Heartthrob Amethyst Matching Set, made with 18K Rose Gold and diamonds or the Double Pendulum Matching Set, made with 18K Yellow Gold and diamonds are spectacular modern designs of Gemstone Sets by CaratLane. 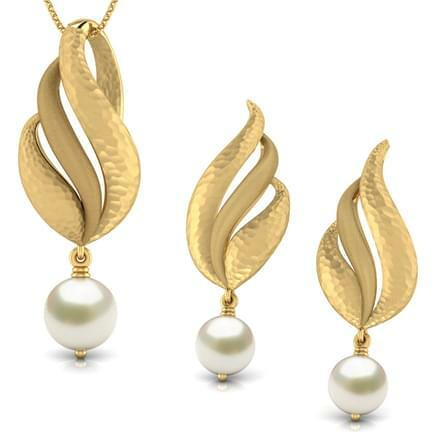 Big necklace and earring Gemstone Sets are also extremely beautiful. 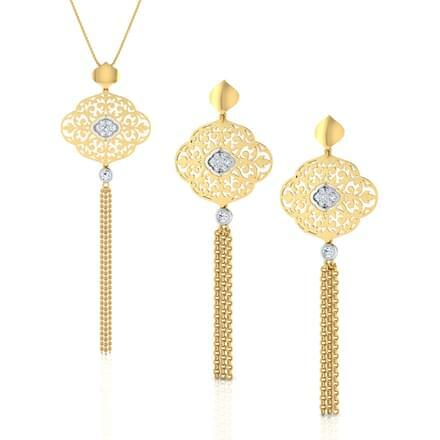 A jewellery set design like the Amara Intricate Tassel Matching Set, the Lotus Fantasy Matching Set and the Lotus Dreams Matching Set are sparkling designs of Gemstone jewellery with diamonds. 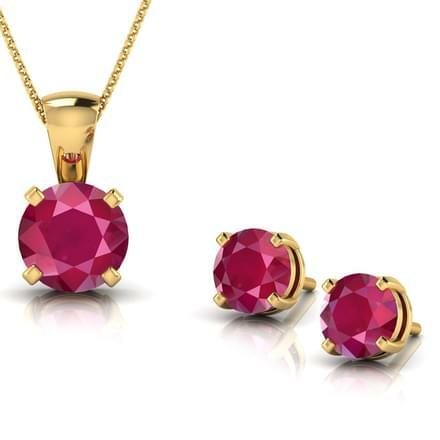 The Cyndy Rose Quartz Matching Set is another pretty and delicate design of Gemstone Sets for women by CaratLane. 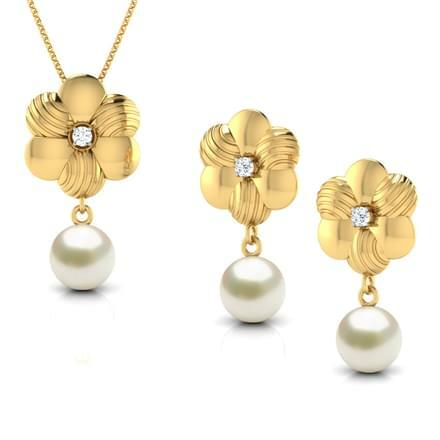 Floral designs are a classic style of Gemstone jewellery and will always remain so. 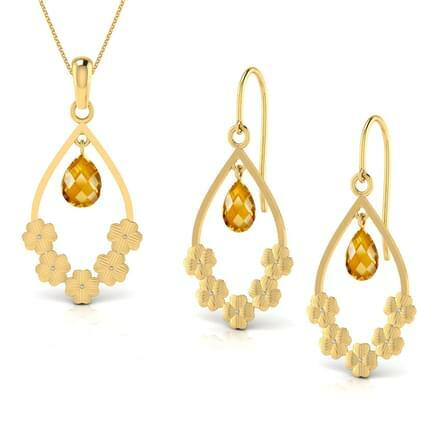 Flowers are traditionally considered auspicious and make for pretty jewel patterns for women. 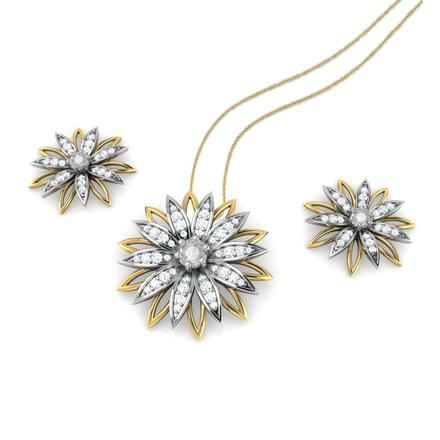 The Sunflower Matching Set, made with diamonds in 18K White and Yellow Gold is a perfect sunflower shaped gemstone set for women by CaraLane. 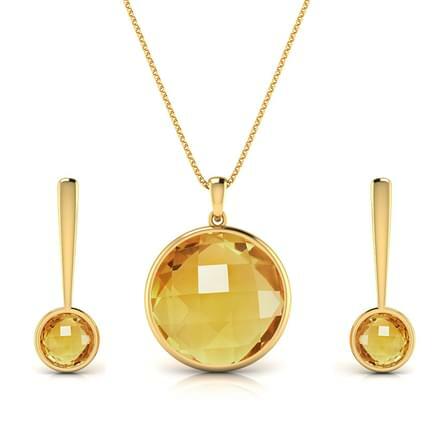 The Floral Pear Drop Matching Set, in 18K Yellow Gold and Citrine is a contemporary design of gemstone jewellery set for women, perfect for everyday and work wear. 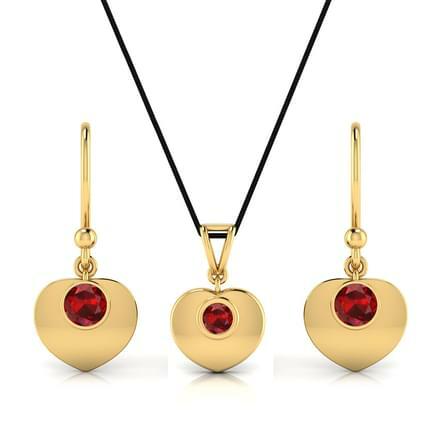 Designer jewellery has maximum takers in jewellery designs these days. 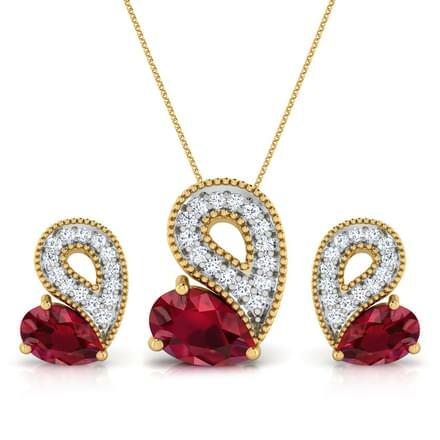 Women prefer trendy designs of Gemstone Sets and CaratLane has the best of styles available online. 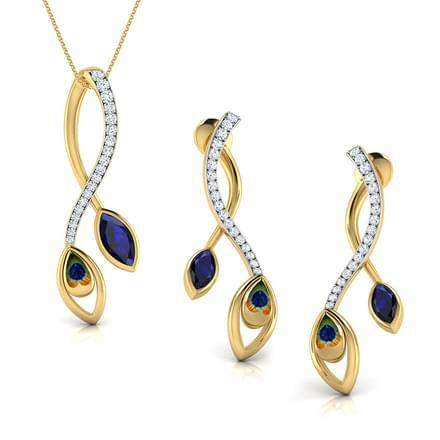 The Dusk Black Onyx Matching Set is a mesmerising beauty, a stunning gemstone jewellery set for women. 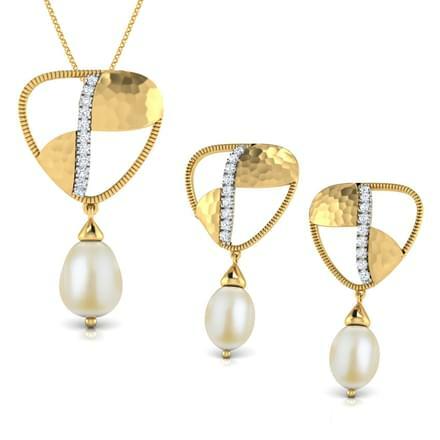 The Vega Mother of Pearl Matching Set is another outstanding piece of jewellery for women. 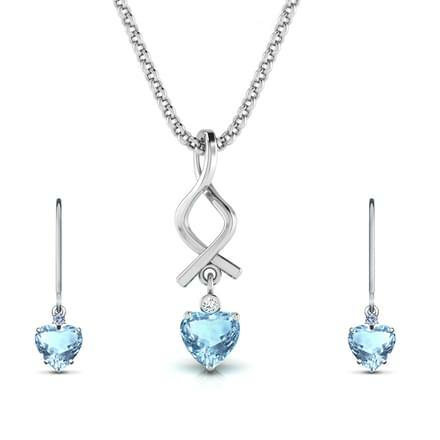 A true beauty, the jewellery set is flawless.